Orange Dream Cake - 9" round with 4 layers. 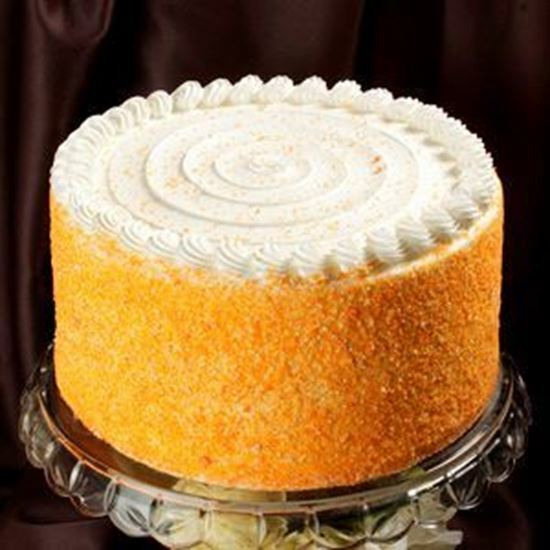 Our Orange Dream cake is made with real Orange zest. Filled with Vanilla buttercream and Bavarian cream. Iced with a Vanilla buttercream. Garnished with Orange Cream crunchies. Serves 12 -18 slices.